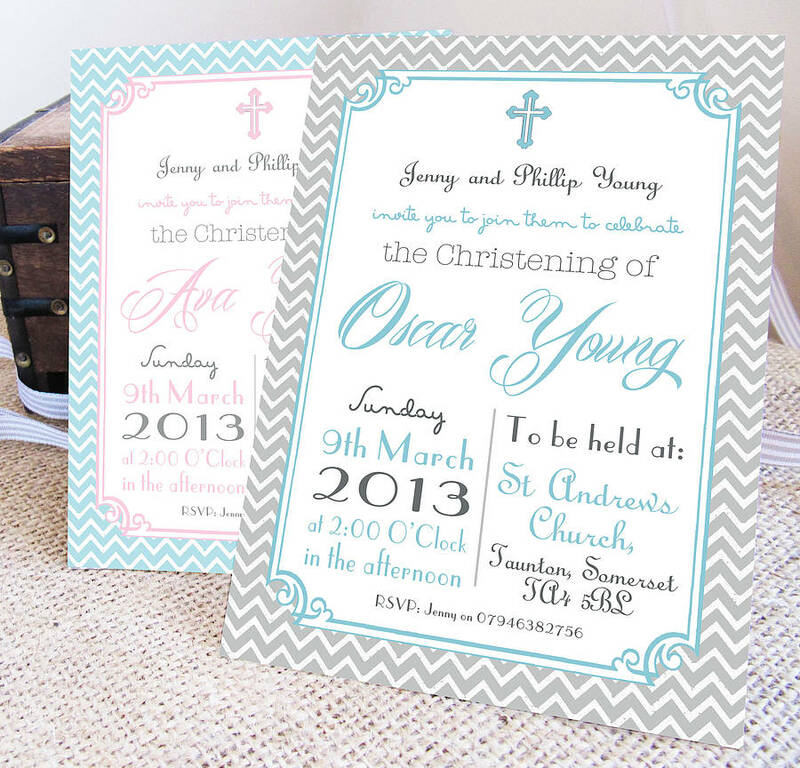 Invite loved ones to join you for the christening, naming ceremony or baptism of you beautiful boy or girl with our gorgeous personalised invitations. 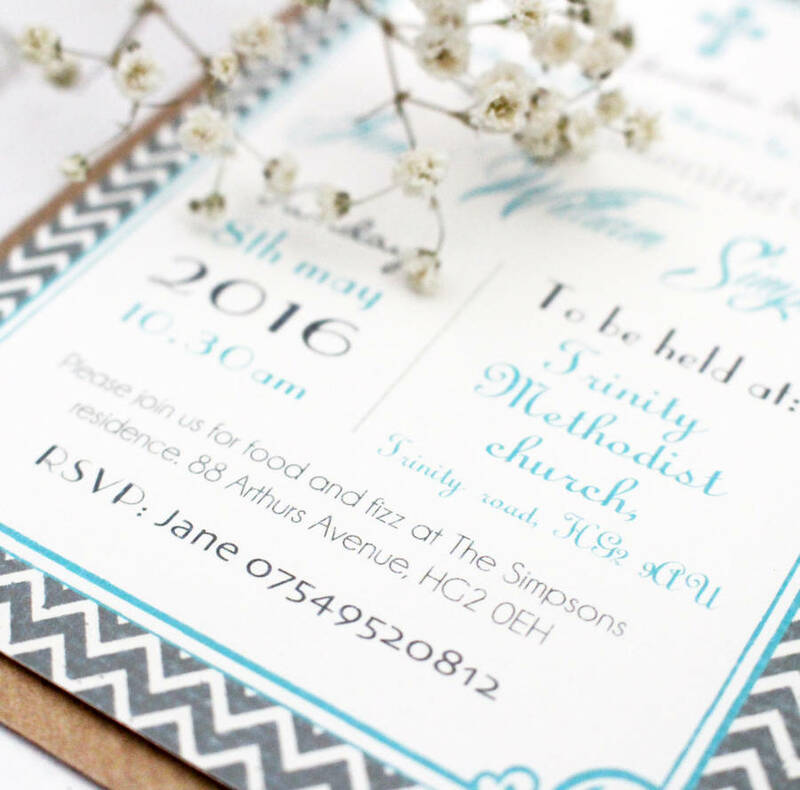 These beautiful invites give you the space to provide all the information you need your guests to know about the special day. We can fit almost any length of name and all the information you need. If their isn't space, please feel free to contact us via the contact seller button, and we will do our best to help. Available in two colour ways, to suit a boy or a girl. 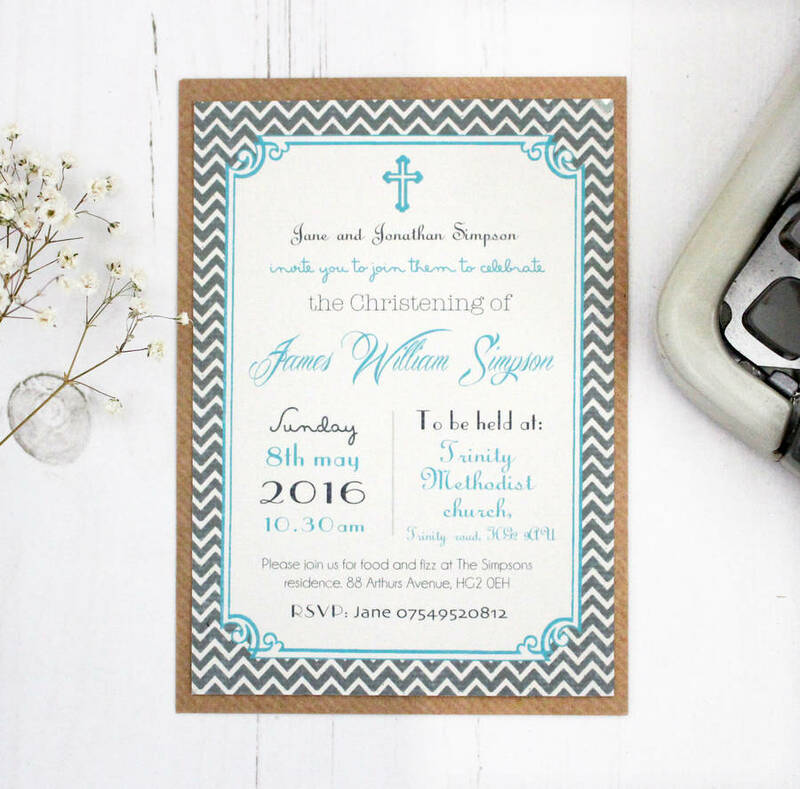 The boys invites are in grey, with a pale blue and grey font. The girls option is in pale blue, with pink and grey writing. Both with a colour co-ordinating cross at the top. 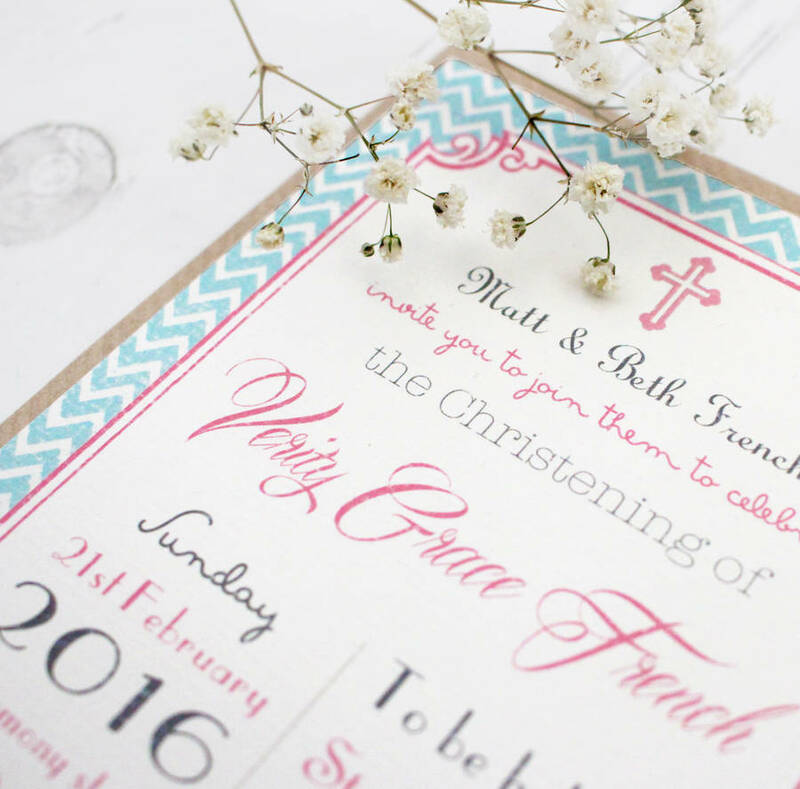 You will also need to select the event, Christening, baptism or naming ceremony. Please double check your order, spelling, and colour as we cannot exchange or refund personalised items. Thank you. 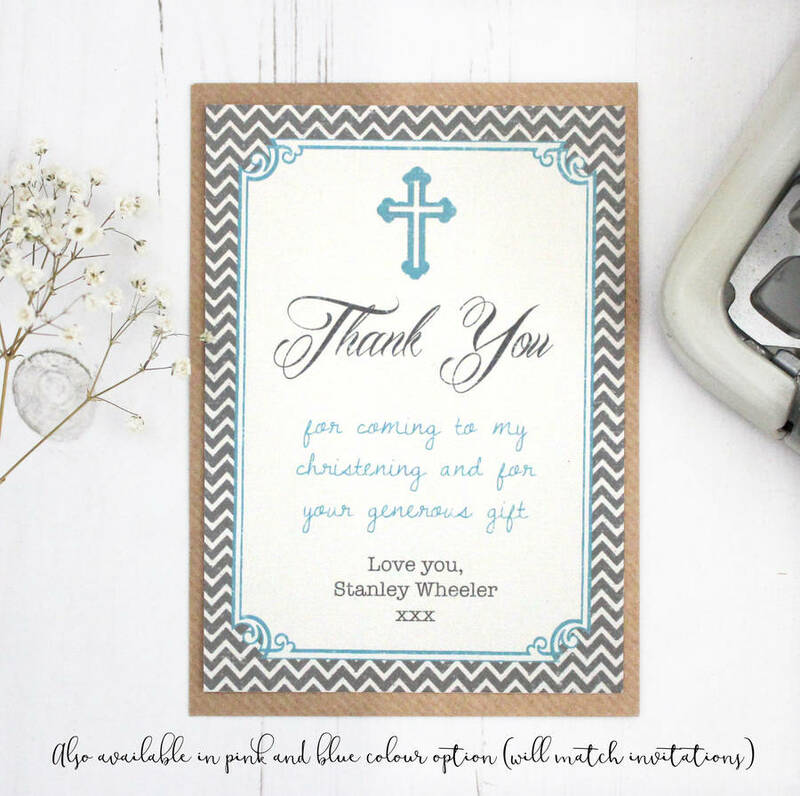 Only one postage charge will be applied at checkout when you order multiple items from Precious Little Plum. So why not see what else we have to offer in this range! Printed on 300 gsm fine art quality textured card complete with gorgeous brown craft envelopes for each invitation. 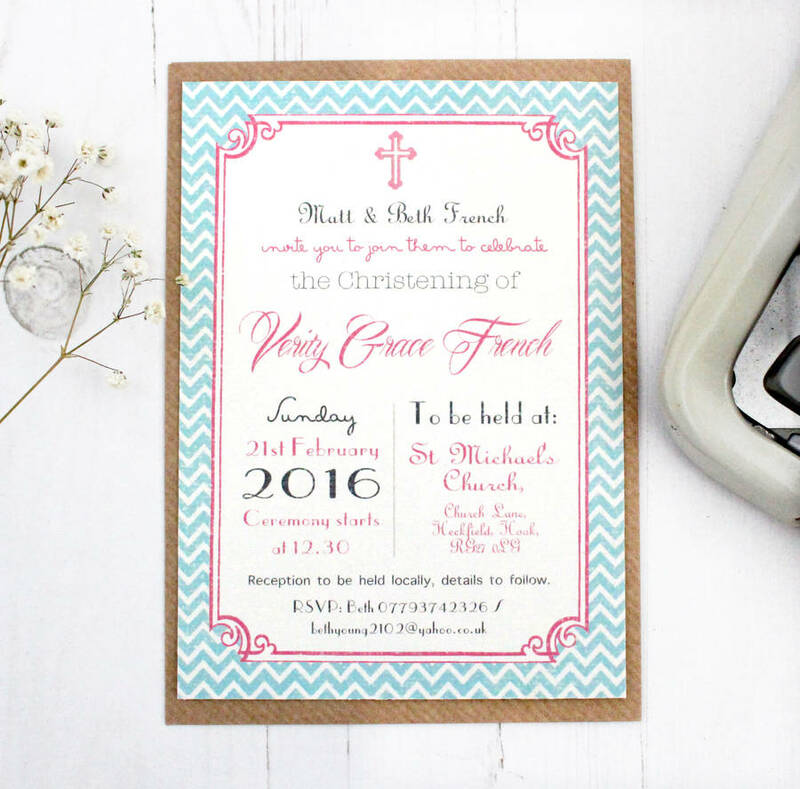 Invitations of 1-16 will be sent in a board backed envelope, and orders of more than 16 will be sent in a postal box to ensure they travel safely to you. Printed in a traditional print workshop in Sussex. Size of invitations aprox: A6 complete with envelopes.